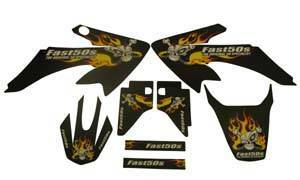 Kit includes: Front & Rear fender, both shroud, swingarm and fork stickers. 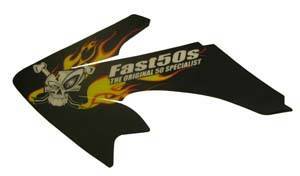 If you need Number Plate Back Ground kits see Part #NPB24000. These come either Black or White.